This is our first coffee from the Chelelektu washing station and we couldn’t be happier to have it on our lineup. We were very excited to buy this coffee from our friend Micah who has recently become Ally Coffee Importer’s full time Ethiopia coffee buyer. We have known Micah for many years where he has grown from a coffee shop owner, to a top placing Barista champion, and now to finding extraordinary coffees in Ethiopia. He has a passion for all aspects of coffee, this passion is very apparent when you taste this coffee. 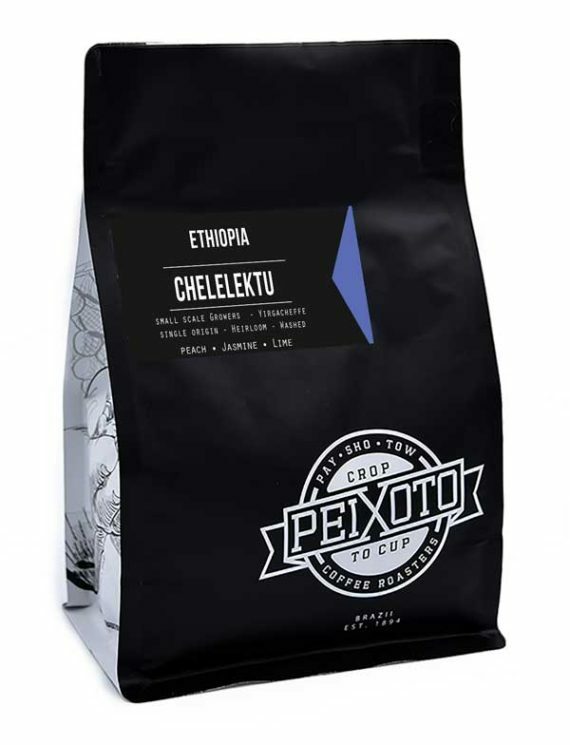 Our Chelelektu coffee is from a family-owned washing station in the heart of Yirgacheffe. Chelelektu farmers are small-scale growers who bring their ripe cherries to the Chelelektu washing station for processing. Farmers around Chelelektu have trees at elevations ranging from 1300-2200 meters above sea level, making it one of the most altitudinally diverse washing stations in Yirgacheffe. The small springs and streams that make up the water for fermentation have a pH of 7.8, and leave the cherries perfectly fermented in around 37 hours. The reaction of Chelelektu’s water with the heirloom varietals grown there leaves the fermenting coffee a brilliant red color that is characteristic of this micro-region. We get a ton of citrus in this coffee ranging from lime, lemon, and sweet orange. There is a certain creamy sweet aspect that when mixed with the citrus reminds us of a dreamsicle. Which as you can imagine is delightful for the summertime! Tasting notes are orange, peach, lime, jasmine, honeysuckle, white tea, cream, and sugar cane.